If you or a loved one has been arrested and is in jail, there is a very good chance that you will need to get a bail bond before they will be set free. If you have never needed any domestic bail bonds services Dayton OH, the process might be a little confusing to understand. They may work a lot differently than you assumed based on what you saw on TV and movies. Bail is an agreement between yourself, the court, and the defendant. The defendant agrees to put up a certain amount of money in exchange for promising to show up to court when scheduled. If you do show up to court and follow the agreement, the bail money will be returned. If not, it is usually forfeited. If the bail is set at $10,000, you must pay this amount so you will be released from custody. You are able to get your money back if you return to court on the dates that you are supposed to. If you do not show up for even one hearing that you are scheduled for, you forfeit this entire amount and an arrest warrant will be issued for you. If you are unable to pay the bail that has been set, you will be forced to stay in jail until the court determines otherwise. As soon as you are arrested, you are booked into jail. Your personal information will then be recorded and put in a database of records and your personal items will be locked away in inaccessible to you. Usually, a hearing is set within 48 hours to determine if you qualify for bail and how much it will be. There are different guidelines in each state when it comes to the schedule of bail amounts. The judge will also consider other circumstances such as how much of a flight risk you are before setting an amount for bail in court. 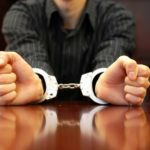 If you have never been in trouble with the law before and are employed, you are more likely to get a reasonable bail set for your infraction. In some cases, the judge will even discard the bail if they do not think you are a risk. If you have a record already and are not employed, you are much less likely to have bail set at a reasonable amount. They will also drug test you after your arrest, sometimes having drugs in your system will cause a judge to revoke bail completely. In essence, bonds are a type of personal loan. If you are able to provide a percentage of the total bail, an agent or bail bondsman will make the rest of the money available as a bond. Along with the percentage that must be provided up front, they will also most likely make you provide some type of collateral that will be held in the event that the defendant does not show up to court.